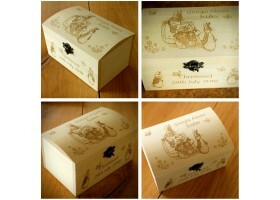 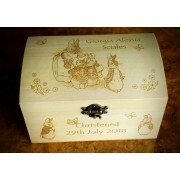 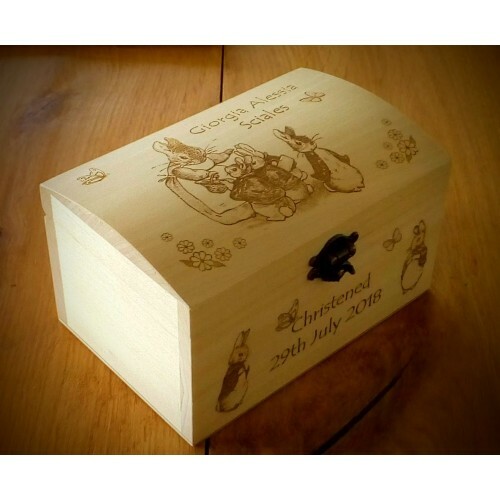 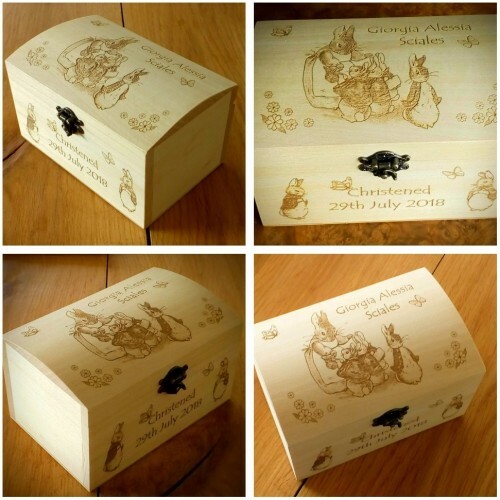 Solid wood boxes engraved with Peter Rabbit or other Beatrix Potter characters. Give as much information as you like either by email, or when placing your order and we'll send you some ideas to choose from or change around as you wish. The price is for engraving on the top and front of the box. 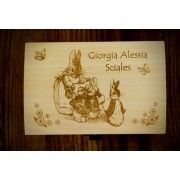 Unfortunately, the ends can't be engraved because it becomes to tall for the laser engraver. 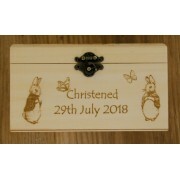 You can have a message on the back or the base of the box as well if you like.